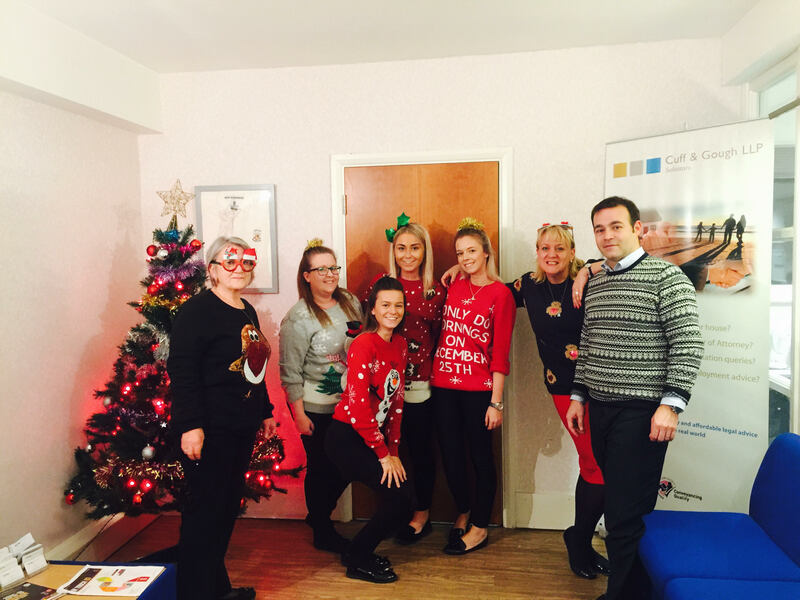 Here are our conveyancing team in their festive jumpers on Friday 18th of December 2015. Christmas Jumper Day is an annual fundraising campaign in the UK organised by charity Save the Children. On a specific Friday in December, people are encouraged to make the world better with a sweater and raise funds for Save the Children by wearing a Christmas jumper and making a minimum donation of £1.